Let Them Eat Cake – SMASH! 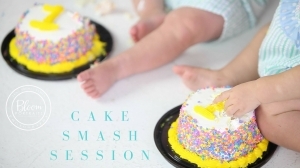 I LOVE CAKE SMASH SESSIONS! Just look how much fun this little guy had! It is always 50/50 wether or not babies are going to like their first cake experience. That’s why I love capturing it so much. The unknown, the real expressions! Ready to capture some memories? Give us a call today! 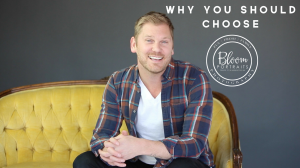 Bloom Portraits has been CoBiz Bank’s photographer for many, many years. Since then we’ve developed some really special relationships, seeing the same people week after week. The people at CoBiz Bank are really something special, some of the most kind people I know! So when Karen called me and told me her daughter needed senior portraits I was super excited to get out and adventure with them! 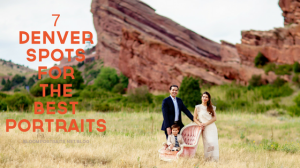 Mom, Dad and Caroline braved the early morning HOT sun, for a fun and fashionable hiking photo shoot through Red Rocks! What came of it was nothing sort of spectacular! Caroline is a pure natural in front of the camera and it was so fun to work with her…she did it all! There is still time to get your senior session in! Give us a call today and lets make some magic together! 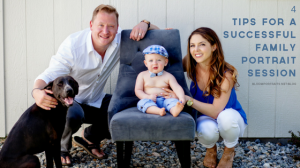 Little man came in with his whole family for his six month portrait session and boy did he steal the show! Look at those eyes. I couldn’t get enough of his sweet little face, bright blue eyes and that smile! 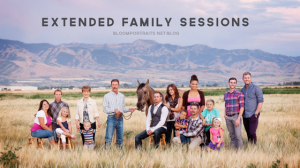 Our Tiny Sprouts Plans include individual baby sessions, but if you’d like to upgrade to add in a family portrait session during this time, it is just a small fee of $50! Bring the whole family, your pets and of course your smiles! 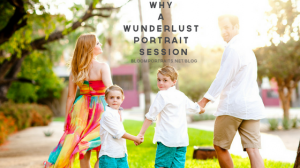 Ready to book your middle moment family portrait session? Give us a call today!